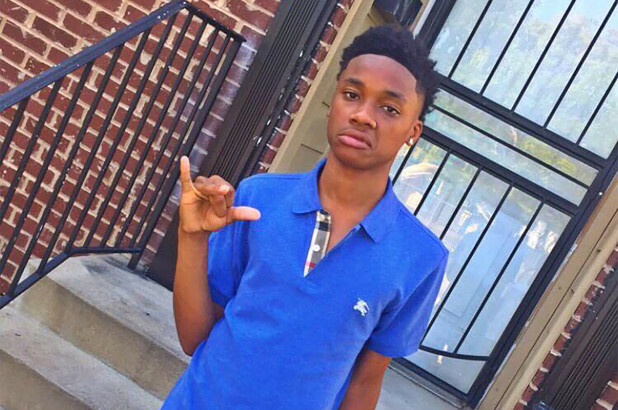 A young boy has been tragically shot dead just one hour after he made a touching post on Facebook about reaching 17. Armond Latimore, a St. Louis teenager posted online that he was glad to make it to his 17th birthday after all he’d been through. Just over an hour later, he was fatally shot in the head. He was pronounced dead at a hospital. No arrests have been made. Homicide detectives are investigating. His mother, Chandra Payne, said she had gone to a store when she got the news. Latimore was a sophomore at Vashon High School. After the shooting, Payne said she found a paper her son wrote for school about a bully who wouldn’t stop harassing him. She said Latimore never told her or other relatives about any problem he was having with anyone. Payne said that since the shooting, concerned people have pointed out to her photos on Latimore’s Facebook page where he is seen with a lot of cash and posing with a gun. She said her son didn’t own a gun, and that the money belonged to someone else. She said her son was a good kid. Harvey Collins, 60, saw Latimore two hours before his death when the teen helped move Collins’ daughter into her dorm at Harris-Stowe State University.